The usual situation is that most of the costs incurred by an employee in carrying out a job will be met by the employer. Typical expenses include the provision of an office space, office facilities, computer equipment, work telephone and stationery. The costs mostly commonly met by an employee include business attire, commuting and lunch. Clothing, food and commuting are not deducted from taxable employment earnings, except in rare and exceptional circumstances. If the costs are not met directly by the employer, it is usual practice for the expenses to be reimbursed. However, where an employee settles a work related cost from their own pocket, tax relief may be due. For tax relief to be available, the costs should be incurred wholly, exclusively and necessarily in the performance of employment duties. This is a restrictive requirement. Employees’ contributions to a registered, occupational pension are deducted from taxable earnings. Most employees now make a contribution as a fixed percentage of earnings following the auto-enrolment requirement. Additional contributions up to an annual limit are also tax deductible. Subscriptions to professional organisations could attract tax relief. The subscription must relate to the employment, and be made to a professional organisation approved by HMRC. A list is shown on the HMRC website. Entrance fees are not tax deductible. Equipment provided by an employee is deducted from taxable earnings. The equipment will obtain a capital allowance, which in practice means that the whole outlay can be deducted from earnings when incurred. Equipment for this purposes does not include cars, bicycles or motorcycles. 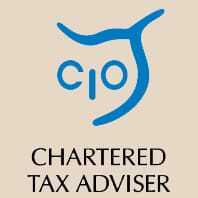 As an alternative to actual costs, a flat rate deduction can be made from profits according to the rates published on the HMRC website. If the flat rate deduction is made a record does not need to be kept of the actual cost. Donations made through an approved payroll giving scheme are deducted from gross pay. There is no limit to the amount of donations which obtain tax relief. Most employees are covered by the employers’ group policy. However, in the less common situation that an employee meets the cost of liability insurance, this cost can be deducted from employment earnings subject to tax. A place not related to the employment. The workplace of a different employer. A permanent workplace is a where an employee has worked, or is expected to work, indefinitely, or for a period of more than 24 months. A permanent workplace is also a place where the employee spends 40% or more of their working time. For instance, if an employee is posted one day out of a five day week to a different location, travel to the location will be tax deductible. Even if the workplace has not changed for more than 24 months, provided time spent at that work place stays less than 40% of total work time, the workplace will not be treated as permanent. An employee can only have one permanent workplace at any time. Accommodation and subsistence while an employee is away from home on business travel is tax deductible. Provided the cost is reimbursed by the employer, other incidental costs of staying away from the office overnight are also tax deductible up to a limit of £5 within the UK and £10 per night for stays outside the UK. Where a reimbursement exceeds the limits, the whole amount of reimbursement will be taxable. An example of incidental costs could fall into the categories of laundry, telephone and newspapers. With heavy taxes for both employee and employer on most company cars, it is increasingly popular for employees to use a privately owned vehicle for business travel. The cost of using a privately owned vehicle, up to the mileage allowance can be deducted from taxable income. Any amount paid by the employer over the allowance is taxable. If the employer pays less than the allowance, this shortfall is tax deductible. As any exception, any shortfall in reimbursement of passenger payments are not deductible. An employee claiming mileage allowance can also deduct the additional cost of parking, congestion charge and toll gate costs. The employee may not also deduct actual motor costs, such as: petrol, insurance, road tax, MOT, servicing, the cost of the car itself and interest on a car purchase loan. As an alternative the cost of hiring a car for business journeys is tax deductible. The car would typically be used exclusively for business where the hire period is a matter of days. Otherwise there could a restriction on the amount of costs which can be deducted from taxable income. For a UK resident, the costs of travelling to take up employment overseas, and the costs of travelling from overseas on termination of that employment, are tax deductible. Related accommodation costs which are paid for by the employer, or reimbursed by the employer, are not a taxable benefit. Two return trips, maximum, for spouse and minor children per tax year to visit the overseas employee are deductible. This is on the condition that the employer bears the cost and that the employee works abroad for 60 continuous days. Up to five years after arriving in the UK, a non-domiciled employee, can deduct the cost of travelling between the UK and the place where the employee normally lives. The condition is that the employer reimburses the cost or covers the travel costs directly. The expenses relief would apply to the cost of relocating to the UK to take up a relevant employment. Up to two return journeys per year for any spouse and minor child of the employee are also tax deductible. This is provided the employee works in the UK for a period of 60 continuous days. If an employee works from home, a deduction can be made from tax. There is no requirement to substantiate a claim of up to £4 per week. It is necessary to keep records in support of an expense deduction of more than £4 per week, or £18 per month. Only the extra cost of working from home can be deducted. Incremental costs typically include the additional expense of light and heat for the premises, of a business telephone and of special office furniture. Where there is mixed business and personal use, such as for rent or mortgage interest, an apportionment cannot be made. The scope for obtaining tax relief for use of home as office costs are greater for a self-employed individual than for an employee. In general clothing costs cannot be deducted from taxable earnings. The restriction includes business attire, such as suits, even if only worn for the office. As an exception, clothing required for health and safety purposes and uniforms are tax deductible. Any form of hospitality or entertaining, provided to a person other than an employee, is not a tax deductible expense. If client entertaining is provided, either the expense will be disallowed in the computation of business profits, or it will be treated as taxable income of the employee. If the employee carries out business entertaining, and the expense is disallowed in the calculation of taxable business profits, then the employee can deduct the expenses from their taxable employment earnings. Following the general rule, any reimbursement of expenses would be treated as income. Thus, the reimbursement is taxable, even though it has been disallowed in the calculation of taxable business profits. Business entertaining is where the purpose of the entertaining is to discuss a business project or engender a business connection. Where an employee incurs expense on non-business entertaining there is no tax relief, just as there is no tax relief for payments towards other non-business costs. Any reimbursement made to employees for business entertaining is reported on form P11d. The requirement to enter a cross simply indicates that the employer has read the guidance and understands that the entertainment expense cannot be deducted from profits, even if reimbursed to the employee. 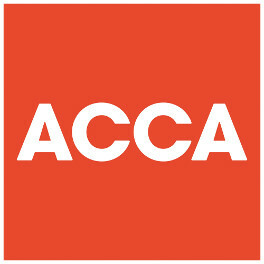 Accountancy fees for preparing a Tax Return. Legal costs of defending a right to remuneration. Many of the costs of employment are typically covered by an employer, and these are addressed in the related guide on non-taxable benefits (pending). Expense claims for part of a Tax Return where the individual files a Return. 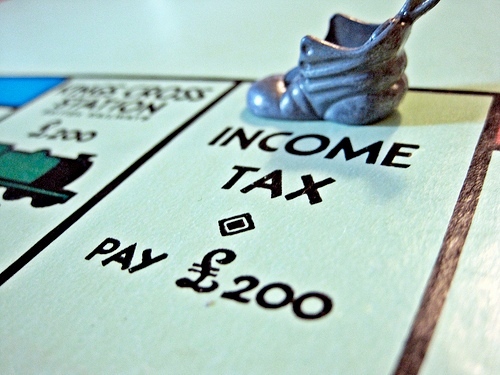 For individuals who do not file a Return, the claim is made on HMRC form P87. A claim for overpayment relief can be made any time up to four years from the end of the tax year during which the expense was incurred.